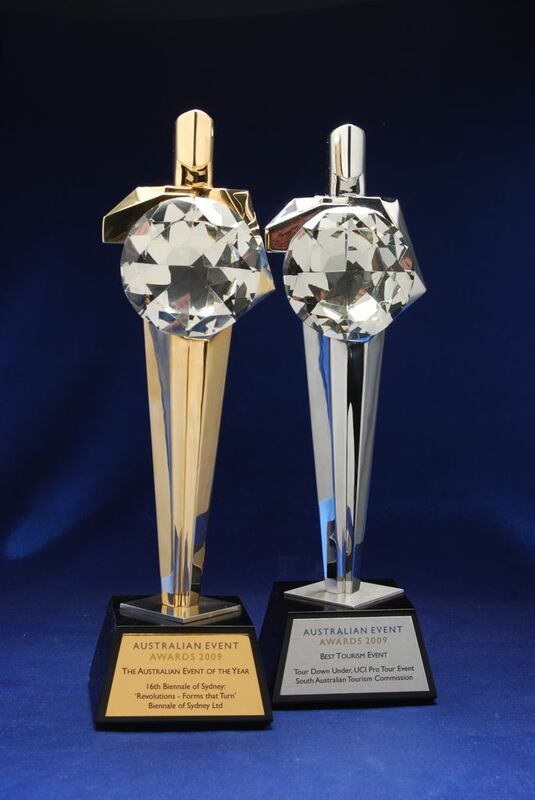 Australian Event Awards exclusive design. Solid metal sculptures in polished silver and gold. 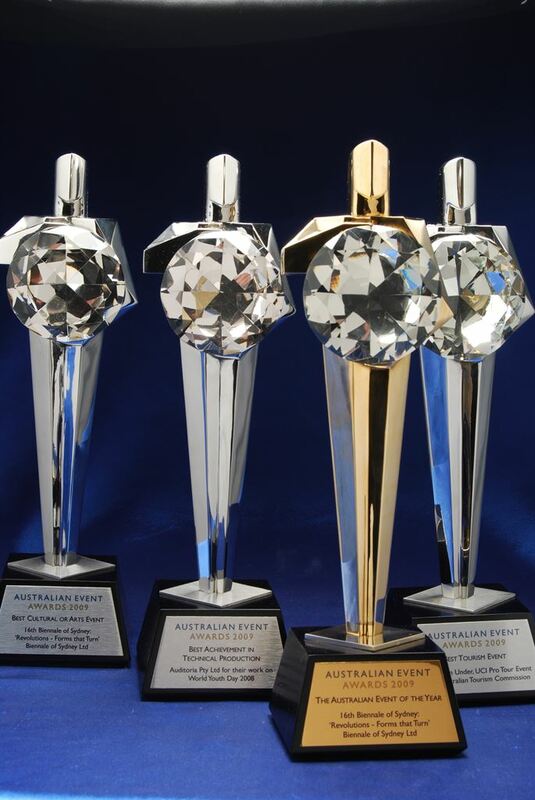 These awards stand holding a crystal diamond as a centre piece. We can create unique designs for your event. Metal Sculptures incur set up charges, and production time can take 4-8 weeks.